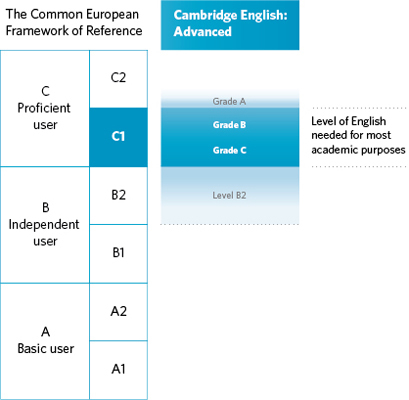 C1 Advanced is set at Level C1 of the Common European Framework of Reference (CEFR) the internationally accepted system for describing language ability. The examination also provides reliable assessment at the level above C1 (Level C2) and the level below (Level B2). Cambridge English: Advanced offers proof of the English skills that education institutions and employers seek for high-achieving study and work situations. Successful candidates can prove to universities they are prepared for study, show employers they are ready to do business, and demonstrate to governments and immigration officials that they meet the language requirements for visas to enter the UK or Australia. Exams Catalunya, Cambridge English Authorised Platinum Centre ES439, is required to follow a detailed code of practice which ensures the highest standards of security throughout the testing process, from registration to the recording of results. Choose when and how you take your exam - Cambridge English: Advanced is available as either a paper-based or computer-based exam, allowing you even more choice over how you take your test. 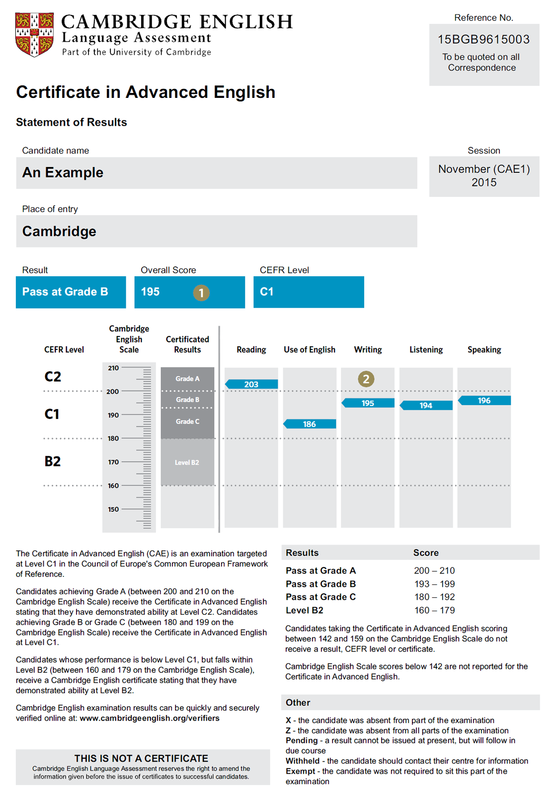 From January 2015 C1 Advanced (CAE) results will be reported on the new Cambridge English Scale (replacing the current candidate profile and standardised scores). Try a paper-based sample Advanced exam paper.